Do you get stumped when it comes to choosing wine? 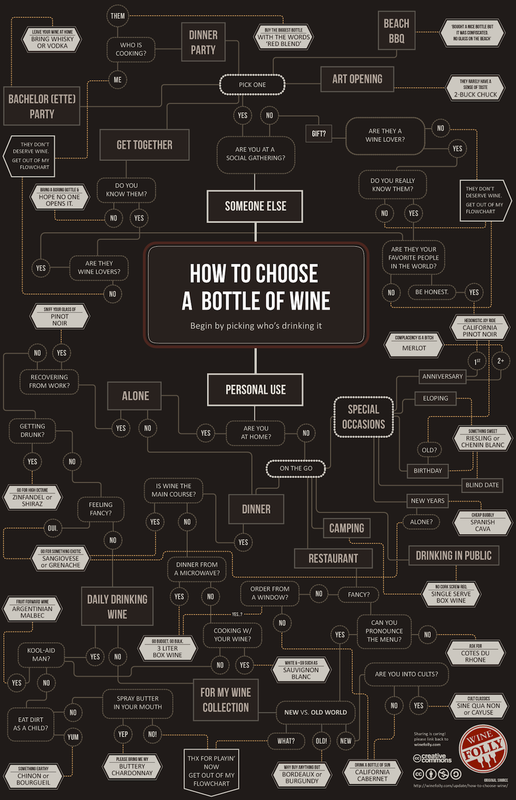 With this helpful infographic from Wine Folly you'll be able to choose the right bottle of wine for every occasion in your life. Are you headed to a beach barbecue? Is your anniversary coming up? No worries, just navigate the wine infograph to find out what type of red or white wine is best for your outing. Keep this one handy, as we're sure you'll be turning to it time and time again. If you'd like to add a special touch to your gathering, why not serve your wine in this ultra modern glasses inspired by a decanter? Pascal Miche, a former butcher, is producing tomato wine in Canada.